If you’re already enrolled in a Medicare Supplement Insurance plan, we invite you to participate in our Rate Watchers program designed to help keep your health care costs as low as possible. Regardless of your current Medicare Supplement Insurance company, you can receive notices of any rate increases in your current Medigap coverage by participating in our free program. Along with informing you of any increases in your current Medicare Supplement Insurance rates, MedicareMall will also present, at no charge, an alternative Medigap plan at a lower cost to you. To participate in Rate Watchers, all you need to do is ask one of our bonded Agents about enrolling in Rate Watchers for free. From there, you can rest easy knowing MedicareMall will be putting its experience and expertise to work to help save you money. Medigap rates can fluctuate in ways you may not be aware of. Just as rates vary from plan to plan and from company to company, they can vary from year to year. This means that your 2012 Medigap rates and even Medicare rates aren’t necessarily what you can expect to be paying next year for the same plans and the same coverage. Health plan rates don’t fluctuate only from year to year. Some companies charge different Medigap rates to residents of different areas in the same state, so moving just a few miles can cause rate increases you didn’t expect. We know how important it is to be able to budget your health care costs from month to month. Unfortunately, staying in control of your supplement insurance costs isn’t always that simple. 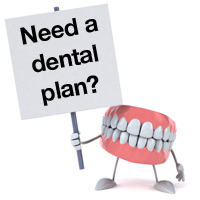 Although all Medicare supplemental insurance plans were standardized by the federal government in 1992 and every provider must provide the same benefits for the same letter plan (Medigap Plan A, Medigap Plan B, etc. ), insurance companies offering the same plan remain free to set their own premium prices. As a result, it’s important to have up-to-date information about your Medigap insurance provider and plan. MedicareMall has served its clients for over 20 years by shopping the market for the best plans and values in the country, and now we’re happy to make Rate Watchers available to every current Medicare Supplement Insurance enrollee who wants to be kept informed of any rate increases and moneysaving options. Remember, you’re not locked into your current Medigap plan for life. If your current plan’s rate increases, MedicareMall can quickly help you enroll in a plan offering the same benefits at a lower rate. This sounds like a no-brainer. 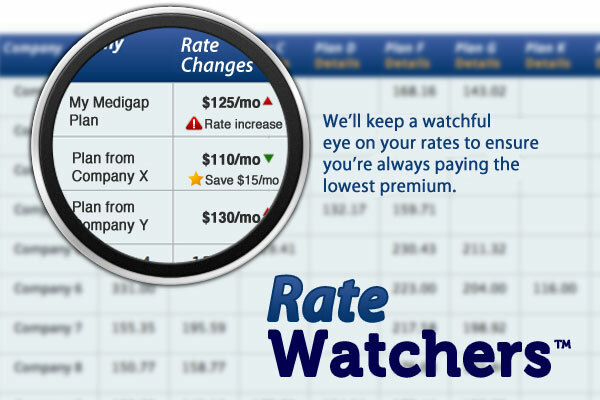 Rate Watchers was established to make sure your health insurance costs don’t outstretch your budget. Contact MedicareMall now and one of our licensed, bonded professionals will be glad to explain more about how Rate Watchers can work to your advantage.